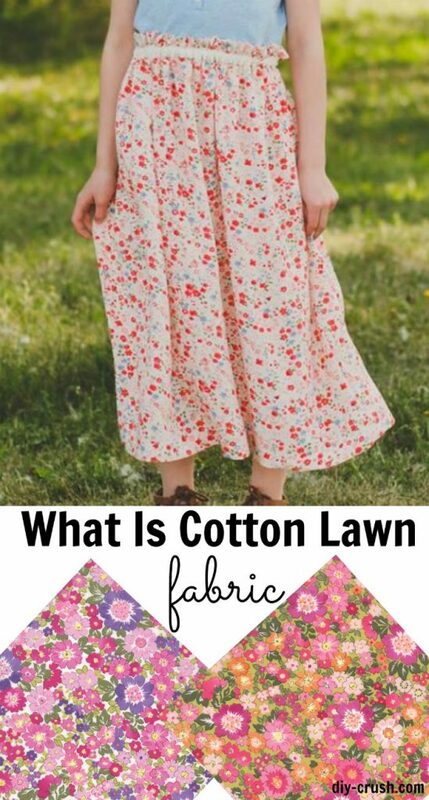 What is cotton lawn fabric? When it comes to certain textiles, there are certainly many kinds that many may not necessarily ever heard of. One kind that often comes to mind that may not necessarily have as much popularity as some other types of cotton is cotton lawn. Cotton lawn fabric is a silky substrate that is lightweight and is similar to batiste or voile with a bit more of a structure to it. Cotton lawn fabric is mostly made of 100% cotton; however, lawn is found in other types of fibers as well. The threads in this particular fabric are quite fine which can result in supple drapes that are perfect choices for linings and warm weather clothes. A substrate is the type of fabric that a design is applied to. This also involves the weight and the weave structure of the fibers. Cotton lawn fabric is made with smaller yarns. Lawn and voile often gets mixed up. Lawn generally has a higher thread count and smaller yarns. It further has a crisper hand than voile; however, both fall under the category of being lightweight cotton. As with most fabrics that are lightweight, lighter colors such as white or pink, often have some elements of transparency to them. Despite how light they are, lawn tends to resist wrinkles and clothes keep their shape well. There’s a couple of things that one can do that may make their experience of working with cotton lawn even greater. Where to buy cotton lawn fabric: Find a nice selection at The Hangar Fabric Shop, Curly Girl Fabric and Shop In The Making. *This post contains some affiliate links. Please see full disclosure here. Cotton lawn doesn’t necessarily have any shrinkage that is noticeable. However, it is always a great idea to pre-wash the fabrics prior to cutting. Cotton Lawn fabrics are recommended to undergo machine wash in water that is cold and tumble dried on lower settings. Cotton lawn is a fabric that is semi-delicate. Low temperatures and pressing cloths are the best options for pressing. You can utilize spray starch to assist with crisping it up so that it’ll be easier to work with. Ensure that you are using a fresh blade in your rotary cutter while cutting it to avoid any potential instances of snags. Use extra fine glass head pins and/or pattern weights are going to work best to hold the pattern down. Marking pens should be avoided due to the fine threads that makes up its silky texture. Ink is capable of burrowing itself into the fabric. Instead, a water soluble pencil is recommended. Fusible sheer interfacing will work perfectly when interfacing. 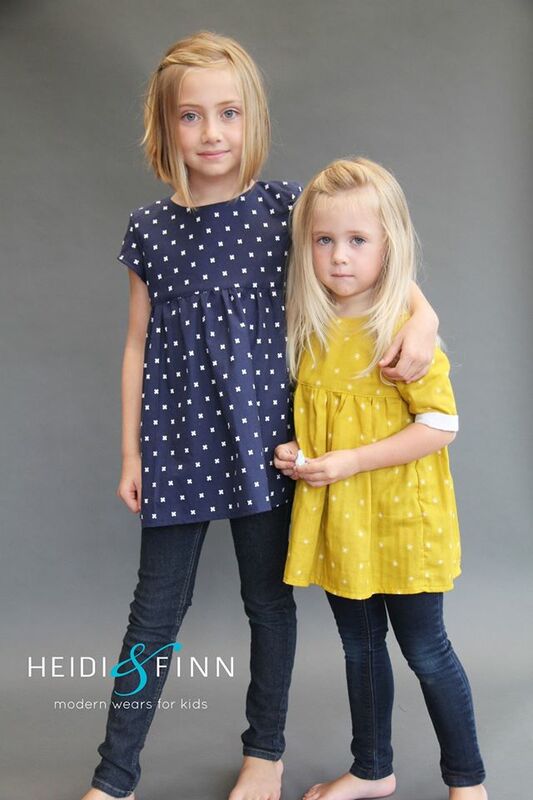 Cotton lawn’s light weight doesn’t lend itself to heavy weight or sewn-in interfacing. A 60wt thread in cotton or polyester is recommended, as opposed to using standard 50wt thread. The lighter threads are of similar weights to threads that makes the cotton lawn and prevents puckering. For thread weights, smaller weight numbers indicate heavier threads. A needle size should be chosen based on the weight and type of thread that’s being utilized as well as the sewn fabric. Since lawn is a lightweight fabric that is mid-range, the smallest Universal needle is recommended for use. Lawn doesn’t necessarily fray much; however, puckering can occur is the needle happens to be too dull or the pressure of the pressure foot is too high. For optimal results, use pinking shears or do a french seams. 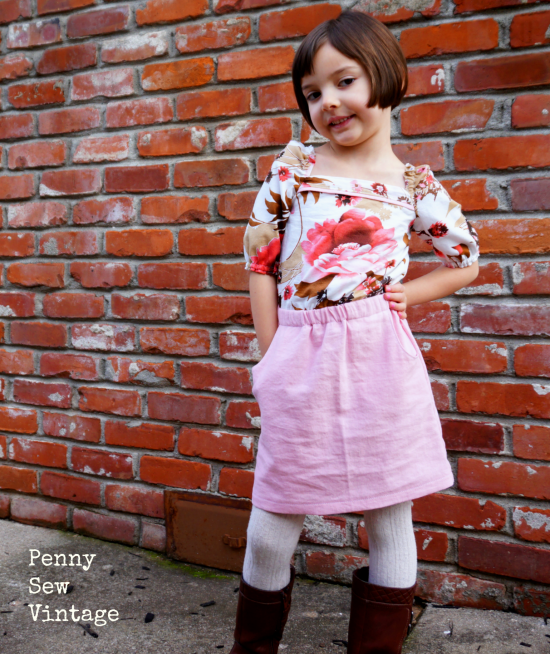 A rolled hem is the perfect hem for cotton lawn fabric. When choosing a sewing pattern for cotton lawn, look for mostly simple lines and constructions. Button closures are best stabilized with some tear-away interfacing that assists with keeping the cotton from from being damaged by the sewing machine. Zipper closures are also okay for lawns; however, a lapped zipper in a lawn could potentially lack the needed structure for a more professional finish. 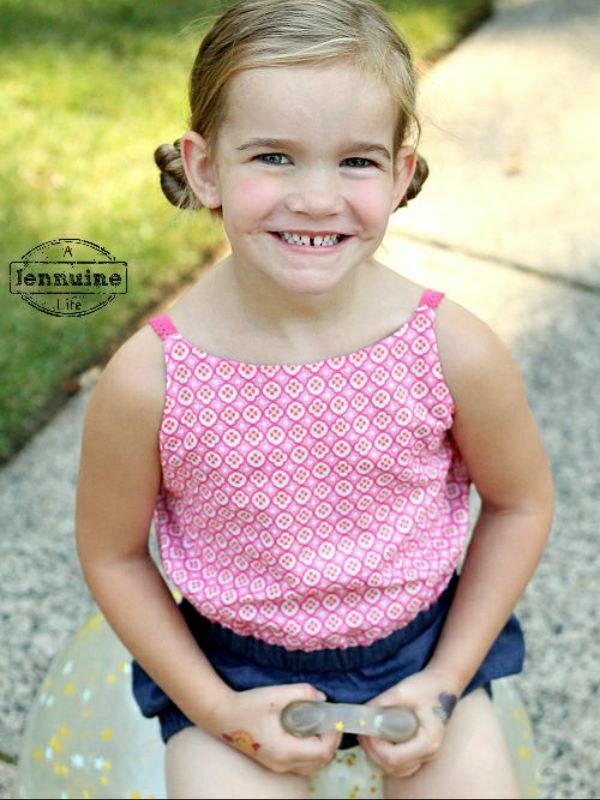 When selecting skirt or dress designs, full silhouettes are the best options. Lawn may come off as being “wimpy” if utilized for straight shift dresses because they lack natural volume. However, when pleated in a skirt or gathered, the fabric has a very playful and air feel with a shine that is often unmatched. As a lining, cotton lawn possesses a bit more structure than a lightweight rayon or sateen, which is great if one’s shell fabric is giving them some trouble. Lawn comes in some great prints and provides a wonderful opportunity of adding some more flare to their garments. 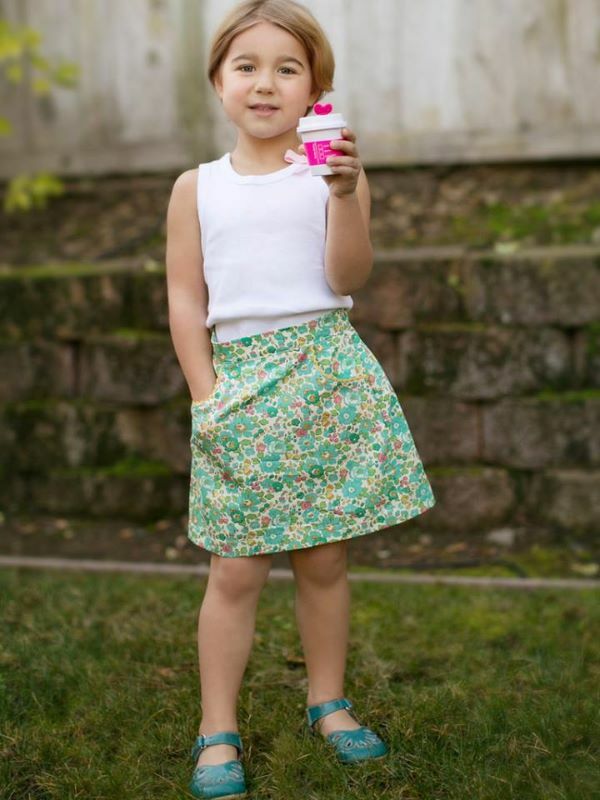 By selecting a joyous printed lawn for a lining, you can add some fun to it while using up cutely designed prints that may not have otherwise been utilized. If you are looking for a textile to sew clothes, blouses, skirts, or any other type of clothing/accessory that could potentially use this fabric, do not hesitate to give cotton lawn a try. 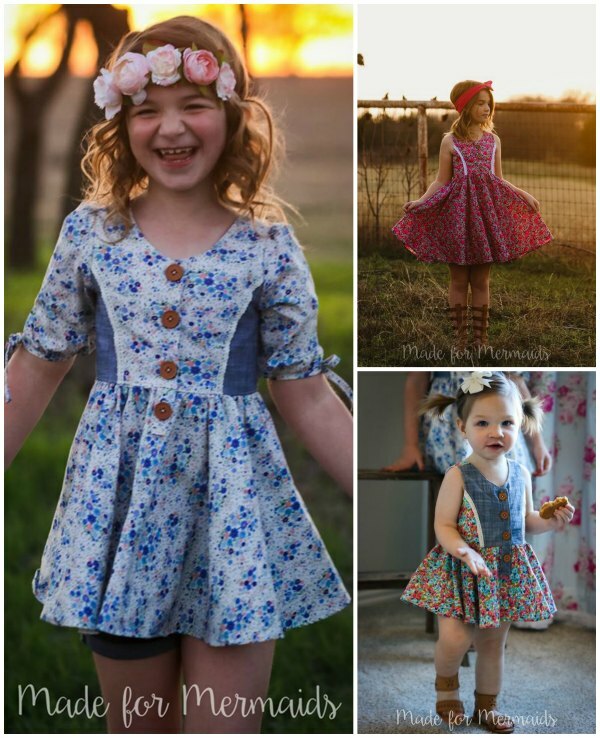 Now you may have had your question of “what is cotton lawn fabric?” answered, find some really cute girls sewing pattern suggestions to get you started on sewing with cotton lawn fabric. Also check out important tips about sewing with double gauze, learn all about sewing with faux suede , read what poplin fabric is and how to sew with it and get sewing with flannel with these tips! 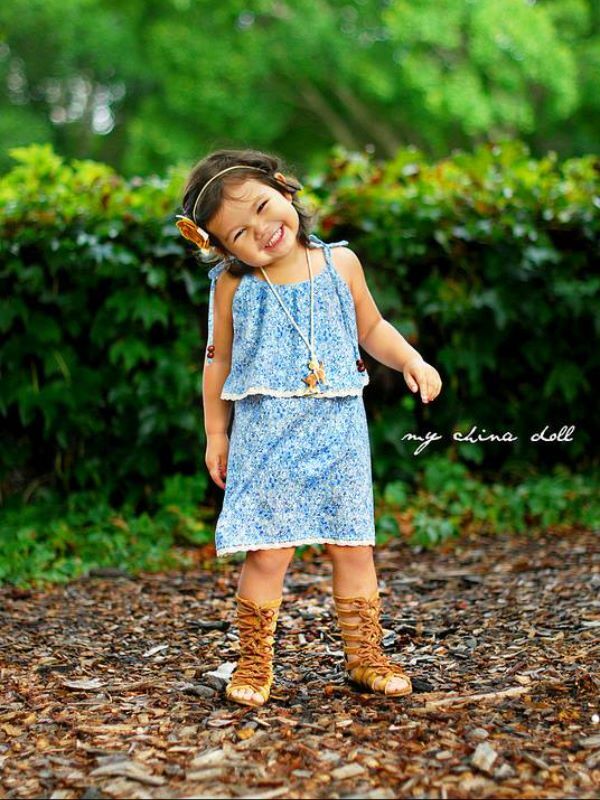 The Satya Romper sewing pattern is great in lawn. 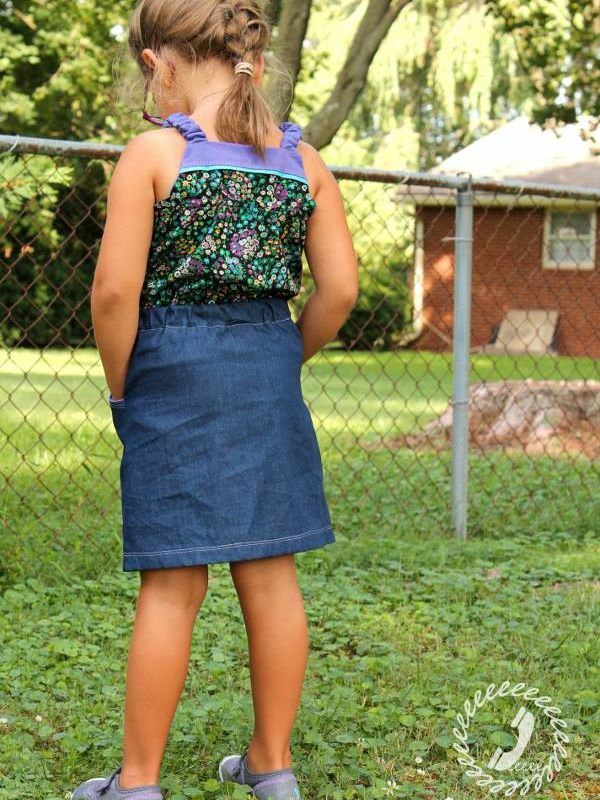 This is a lawn bodice with chambray shorts. Ajaire from Call Ajaire said: I use cotton lawn a ton. I find it’s perfect for bodice linings even if the outer fabric is a bit heavier since it’s so breathable. My Paneled sunsuit and dress pattern is great for a lawn. 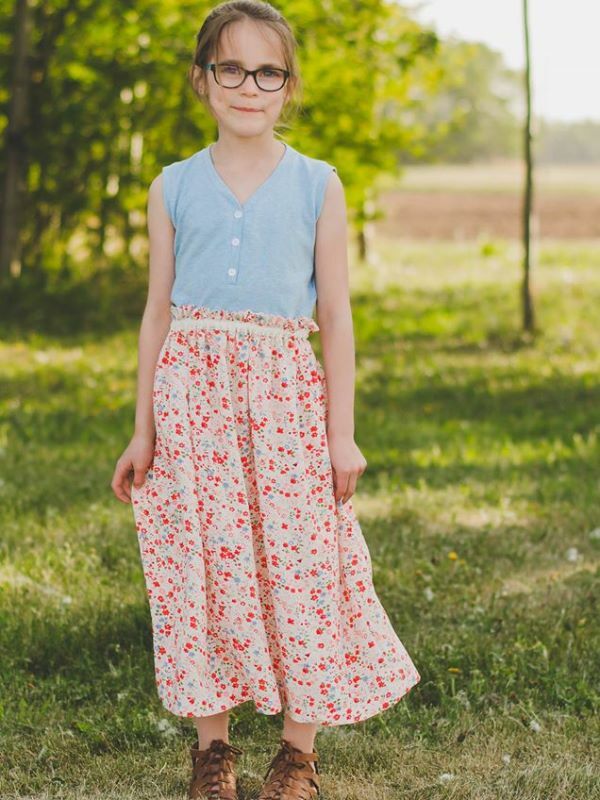 I used cotton lawn for the bodice (the floral) and the lining here (with a chambray for the skirt) and it’s soft and wears well even after a ton of washing. 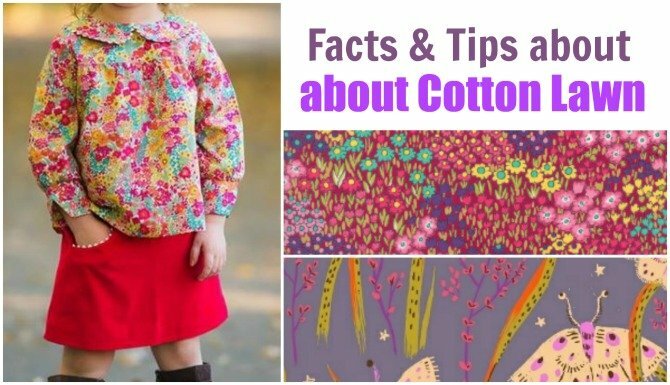 I hope these tips and facts about what is cotton lawn and what to sew with it, helps you take the steps to create something yourself. 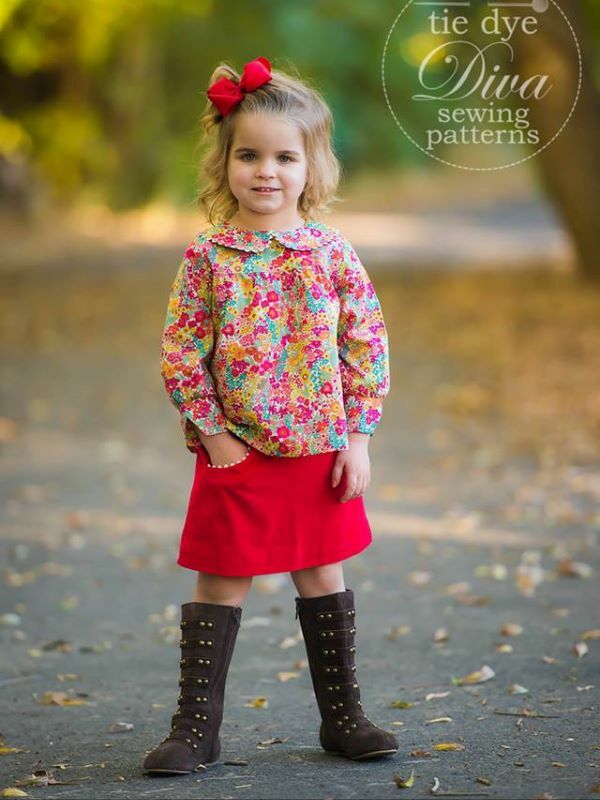 Thanks for sharing these great tips for working with Cotton lawn fabric. I’ve always loved making summer clothes with it. Sharing on Pinterest! Thank you so much for visiting!! 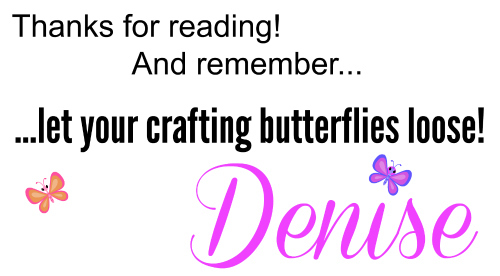 I appreciate your help with promoting!! I really enjoyed this article on lawn fabric. I love lawns and you gave me some very useful tips. So happy to hear that! I am glad these tips are helpful!